The Chevrolet Tahoe continues to be a top pick within the full-size SUV segment, offering an unmatched level of comfort for the whole family, towing capability for drivers on the go, and cutting-edge connectivity features. Customers are ensured a great experience no matter which trim level they choose, making it an excellent value. The Tahoe competes in the same segment as the Ford Expedition and Toyota Sequoia. With seating for up to nine passengers, and many ways to configure your experience, the Tahoe is a brilliant option for families everywhere. To learn more about a used Chevrolet Tahoe, take a look below! The Tahoe is one of the most iconic SUV's in the brands lineup, and as such, the engineers have consistently equipped the full-size SUV with some of the best engines available. One of the standout engines is a 5.3-liter V8, which offers an excellent 320 horsepower and 335 lb-ft of torque. This fantastic engine comes linked with a six-speed automatic transmission, and drivers have their choice between rear-wheel (2WD) or four-wheel (4WD) to optimize the experience for every driver and their daily environment. Furthermore, drivers can alter their four-wheel drive system with a two-speed transfer case, or single-speed unit without low-range gearing. When properly equipped, the amazing Chevrolet Tahoe has a towing maximum of 8,500 pounds. Throughout the years, the Tahoe has been available with many amazingly innovative technology, and impressive standard features. Availability will depend on the year, but drivers have often been given their choice between three different trim levels, the LS, LT, and LTZ. Seating configurations can be altered in three ways, with the standard Tahoe offering seating for eight, second-row captain's chairs providing seating for seven, or seating for nine with a 40/20/40. Coming standard are 17-inch alloy wheels, and the interior offers comfort for passengers with tri-zone manual climate control, and cargo space can be maximized with a 50/50-split removable third-row seat and 60/40-split second-row seat. The Tahoe has always stood out with its great technology features, and many of the models come standard with a six-speaker sound system, that provides access to rear audio controls, CD player, auxiliary audio jack, and satellite radio. Higher end features available with most models as standalone options include a sunroof, navigation system, and rear-seat entertainment system. 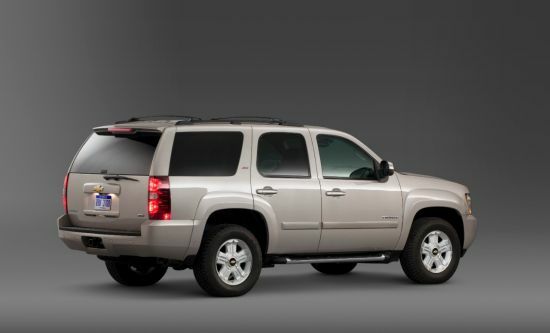 The Tahoe has endeared itself to families for decades with excellent safety and security features. Recent Tahoe model years will be equipped with side curtain airbags, front-seat side airbags, antilock disc brakes, and traction/stability control. Many models are also available with an OnStar system, which is linked to remote door unlocking, on-demand roadside assistance, and automatic crash notification. Can you help me find a vehicle that I am looking for? 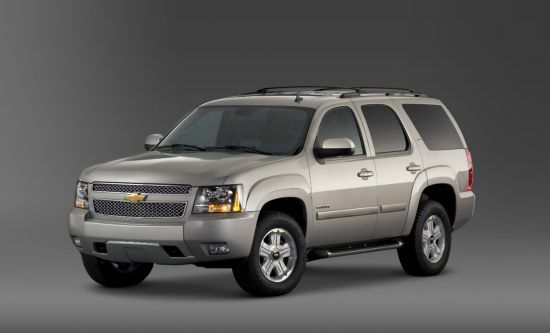 Do you currently have any Chevrolet Tahoe models in stock? Can I trade in a vehicle at Kayser Used Cars? The Chevrolet Tahoe is a truly outstanding full-size SUV, offering unmatched capability, comfort, and excitement for the whole family. The interior comfort is unmatched, and can configured in many ways for cargo space. Are you curious to learn more about a used or pre-owned Chevrolet Tahoe? Then contact us today, and we will help you find the Tahoe of your dreams!